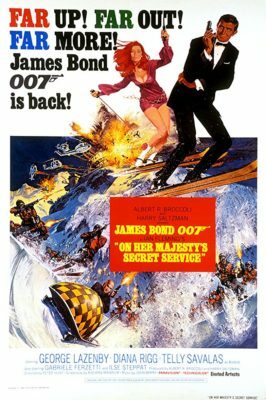 Q&A with ON HER MAJESTY’S SECRET SERVICE Star George Lazenby at the NoHo August 9. August 3, 2018 by Jordan D.M. ON HER MAJESTY’S SECRET SERVICE star George Lazenby will be participate in a Q&A at the NoHo after the screening on Thursday, August 9. This event was awesome. Mr Lazenby told some great stories and the movie is one of the best Bonds.